Connie shares the pleasure and satisfaction of delving into just discovered series and authors. One of my favorite books is the Pulitzer Prize-winning The Killer Angels by Michael Shaara about the key battle at Gettysburg in July 1863. His son Jeff has added two more Civil War novels, making The Last Full Measure the third in a trilogy. Gods and Generals portrays events that precede The Killer Angels. What makes these novels unique is the perspective of key commanders from both north and south in this tragic and horrifying war and how important and desperate the strategies and outcome of each battle became. As the war dragged on, the fighting was also about the sacrifices of the fallen soldiers not being in vain. The Last Full Measure picks up immediately after Gettysburg through the end of the war. The movie Gettysburg based on The Killer Angels is also a favorite. A tradition in our home is to re-watch the movie during the first few days of July, the anniversary of the actual battle. 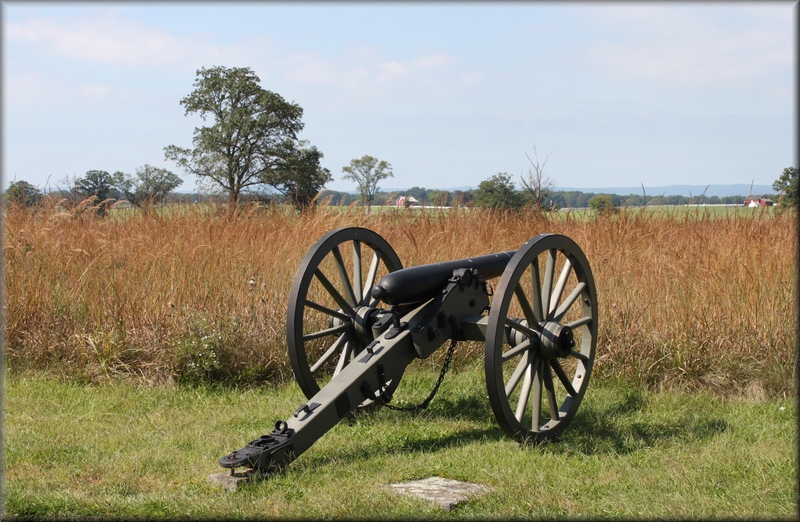 My husband and I also have made numerous visits to battlefield sites, including Gettysburg, Antietam and Petersburg. The voices and faces of Martin Sheen as General Robert E. Lee, Tom Beringer as General Longstreet and Jeff Daniels as Col. Chamberlain are so vivid that I felt I could see and hear them in The Last Full Measure. A sure sign of a book that has made a great impression is the desire to visit more key battlefields mentioned such as Spotsylvania, The Wilderness and Cold Harbor, and read more about the men who gave the orders. It’s a delicious feeling knowing when you start a trilogy that the next two volumes are already written—no waiting, immediate gratification. Also, in the middle volume, the author is delving further into characters, plot, motivations and conflict propelling the reader relentlessly forward to an ending that you want to delay. Two childhood friends growing up in Naples, Italy are connected throughout their lives, constantly in competition, making choices that pull them apart, then draw them repeatedly back together. Next is Those Who Leave and Those Who Stay and I just found out that there is a fourth book in this Neapolitan series coming out in September. Ferrante is described as one of Italy’s best known, least known writers. Her real identity is unrevealed by her design. I love this series. The plots are gripping. Apartheid in South Africa in the 1950s demands racial identification and forbids interracial mixing yet coexisting leads to secrets and hidden ties. Detectives Emanuel Cooper and Samuel Shabalala are a complex and fascinating team. What a great idea! I love the idea that Connie is still providing recommendations and reviews!